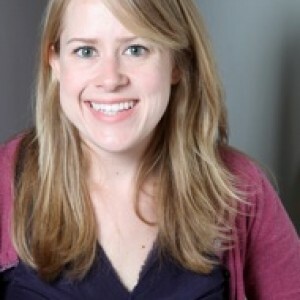 Margaret Peters is an Assistant Professor in the Department of Political Science at UCLA. Her research focuses broadly on international political economy with a special focus on the politics of migration. Prior to coming to UCLA, she was an Assistant Professor in the Political Science department at Yale University and at the University of Wisconsin-Madison. She earned her Ph.D. from Stanford University in 2011. Her book, Trading Barriers: Immigration and the Remaking of Globalization (2017, Princeton University Press) examines the relationship between trade policy, outsourcing, and immigration policy and is based on her award winning dissertation. Her work has appeared in International Organization, World Politics, Quarterly Journal of Political Science, and International Interactions among others. She teaches classes on international political economy and migration. My research examines the politics of migration in all its forms. My book, Trading Barriers: Immigration and the Remaking of Globalization, examines how business support for immigration has changed over time due to globalization. In it, I argue that increased international competition, due to lower trade barriers and greater economic development in the developing world, has led many businesses in wealthy countries to close or move overseas. Productivity increases have allowed those firms that have chosen to remain behind to do more with fewer workers. Together, these changes in the international economy have sapped the crucial business support necessary for more open immigration policies at home, empowered anti-immigrant groups, and spurred greater controls on migration.In addition to my work on immigration, I study how authoritarian government use emigration to bolster their rule. Emigration is a double-edged sword for autocrats: those who are unhappy with the regime can exit, leaving a more loyal population, and emigration provides many economic benefits for the state, most notably remittances. Yet, when migrants move to democracies they learn democratic norms and tools that they can use to challenge the regime.Finally, I examine how politics affects when and where migrants choose to move. Focusing primarily on refugee flows, I examine why we sometimes get waves of migrants; how refugees choose where they want to move; and what the refugees themselves think are the ethics of migration. Throughout, I seek to give voice to refugees and their concerns directly.